We have begun to read Jane Eyre! Please do not forget to use the widget at the bottom of this post to list your posts so we all can read them. Our first week’s questions are below followed my answers. Mrs. Reed's cruelty would have been noticed and reported, had it taken place in our contemporary society. What factors do you think might have contributed to its tacit acceptance at the time? I think that it is more likely that authorities would address Mrs. Reed’s cruelty in our time, but I do not believe that it is certain that they would. It seems that quite a bit of abuse of children goes on that is not reported or addressed these days. Nevertheless I do agree that such cruelty would not be nearly as acceptable today. I do hold what seems a controversial opinion that our world is slowly becoming less violent and people are becoming more kind. Though such things do still go on, draconian punishment of children is no longer socially acceptable. Most of us consider this to be immoral and even unthinkable. As a result of this change in attitudes, we of have of course, laws that help reduce the frequency of abuse. In the time that Jane Eyre was set, such abuse was simply more acceptable. This supports my contention that the world is getting less violent and cruel. Many people, based upon their own consciences were kinder then Mrs. Reed was, but I think that based upon what we know about the period, such moral people with such views and gentle dispositions were less common. The novel opens on a very dreary, rainy November afternoon. How do you think this contributes to the general mood of the first chapter? I think Bronte is portraying a Universe where there is something dark and perhaps out of balance at work. Obviously the fact that this darkness is manifested in the form of weather indicates that whatever it is, it is ingrained in the way that the world is put together. This ominous background to reality seems to be reinforced when Jane sees the ghost. I am not sure that I completely comprehend what Bronte is getting at in terms of this dark nature yet. I expect that I will have better idea about this as the story progresses. Jane speaks more like an adult than a child, especially in the scene with Mrs. Reed, after Brocklehurst leaves. Do you think this is because she's a very intelligent, precocious child, or is this simply an unrealistic aspect of the novel? I buy into Jane’s character as a child. I do think that we stereotype children too much. Every so often a child does exhibits enormous intelligence and maturity. Obviously Jane is a special person. I can believe that she had special attributes as a child. How did Bronte show hypocritical vs. true Christian behavior in the characters of Mr. Brocklehurst and Miss Temple? Obvious the two are opposites. Mr. Brocklehurst is not just a hypocrite, but he is also completely un - empathetic and cruel. He preaches hellfire and damnation and thus his malicious persona does indeed exude hypocrisy. In contrast, Miss Temple is kind and is not overbearing in her espousal of Christianity and virtue. She not only displays kindness, but she dispenses good advice and wisdom. Bronte seems to be portraying Miss Temple as an ideal Christian. I actually think that had the contrast been a little subtler and less extreme between the two, it might have been more realistic and even created an aesthetically stronger narrative. What literary function do curtains and draperies have in the opening chapters? Several characters, most particularly Jane, seem to be using curtains both in reality and symbolically, to hide themselves the world. Jane uses them to escape the abuse of the Reeds. At another point John scolds her for hiding behind curtains. All this seems to reinforce something about Jane’s character, which is to some degree separated, alienated and “curtained off” from the world. Bessie's attitude toward Jane is inconsistent; at times, she's kind toward the child, while at others, she scolds her unfairly. Why do you think she acts this way? Bessie is employed by the Reeds and is surrounded by people who mistreat Jane. I think that at least early on, she just goes along with this mistreatment. This seems morally questionable. On the other hand has she been too overtly sympathetic to Jane, the Reed’s might have dismissed her, leaving Jane much worse off. It is clear however that Bessie often, and eventually always, feels sorry for Jane and her basic goodness sets in. I believe Bessie to be a mostly sympathetic character. Her going along with Jane’s mistreatment does add a little complexity to her persona for me. Next Week we will be reading chapters 6 - 10, The questions are below. What are your impressions of the way that Helen Burns endures punishment and abuse? What are your impressions of the way that Jane sees punishment and abuse in comparison to Helen? Would Mr. Brocklehurst have been a more realistic and interesting character had he been less overtly fanatical, cruel and hypocritical and just deeply flawed instead? Helen Burns exudes confidence and is sure of her personal beliefs. Do you find it realistic that such a young person exhibits such traits? Miss Temple seems to influence Jane’s personality and outlook on life during her stay at Lowood. Would Jane have developed differently without her influence? Jane’s time at Lowood is marked in the narrative by the seasons and the description of weather. Does this have any significance? Once again, please do not feel compelled to answer them all, just the ones that you want to. 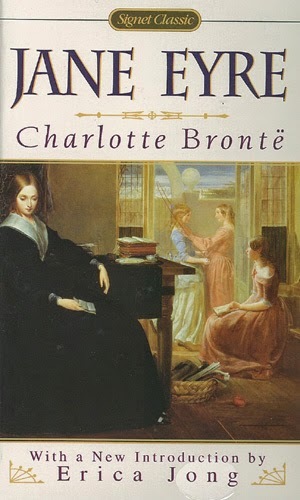 I am excited that the Read Along has begun and I am reading Jane Eyre! This week’s questions are brought to us by my read - along cohost Maria of A Night's Dream of Books. 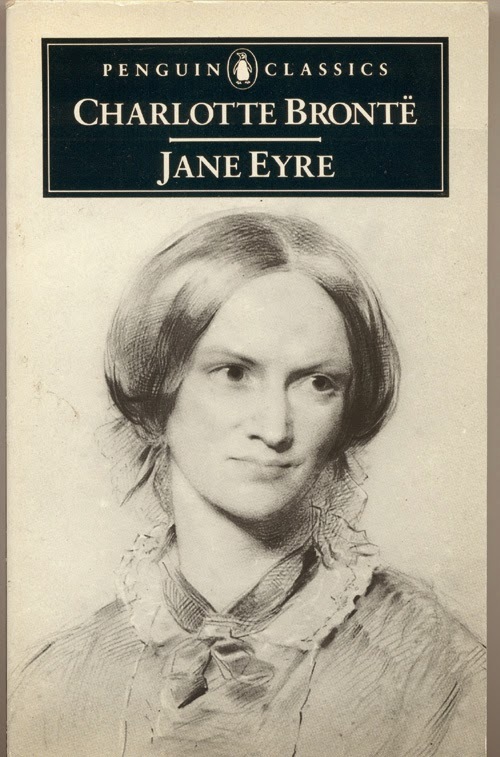 Jane Eyre is one of the books that has been on my radar for a very long time. Indeed this novel has been on my “lifetime reading plan” for years. I have not previously read any of the works written by the Bronte family but once again, I have wanted to do so for a long time. My expectations for the work are grounded on what I have heard and read from others. This book seems like a really important and esteemed novel that is a must read for anyone interested in great literature. In addition, based upon the movie version that I have seen, as well as the opinions of others, my general expectation is that this is also darkly atmospheric tale. I have only seen the 1942 film version staring Joan Fontain and Orson Wells. It has been a few years since I have last viewed it, but I remember it being a really good film. I recall that Orson Wells’s performance being extraordinary as he was perfectly cast. I hope to re - watch it during the read along. If I do so I will try to put up an extra post on it. We will be reading Chapters 1 – 5 for next week. Our questions, courtesy of Maria are below. Feel free to answer as many or few as you want to. I can see how one may want to wander all six or as little as one. I am the kind of blogger who might just take a single one and write 2000 words it! intelligent, precocious child, or is this simply an unrealistic aspect of the novel? Please do not forget to use the below widget to link your post so we all can read it.